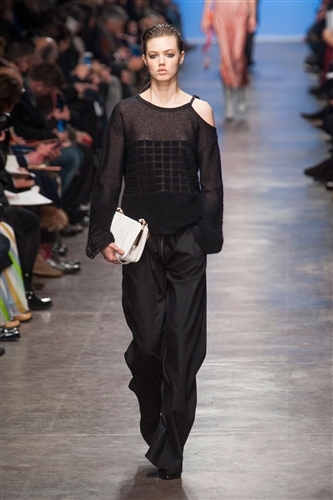 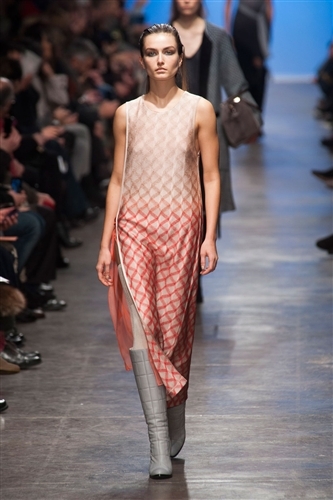 Missoni headed in a new direction this season updating their covetable look with a touch of grunge from the 90s. 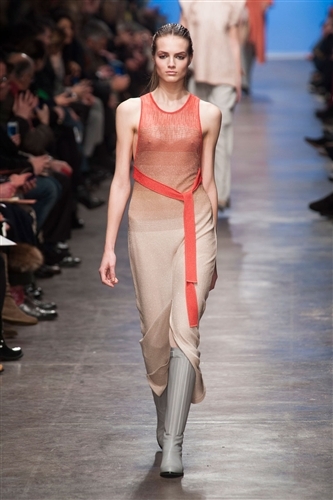 The lines of the collection were 90s at its best with racer backs, mid length body con dresses , scoop backs and polo necks. 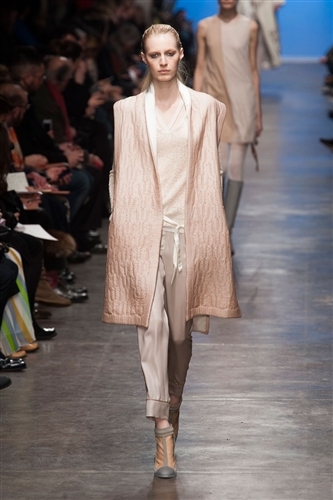 The collection was saved from being a die hard attempt at the 90’s however by slouchy, casual pieces in a series of icy, pale colours. 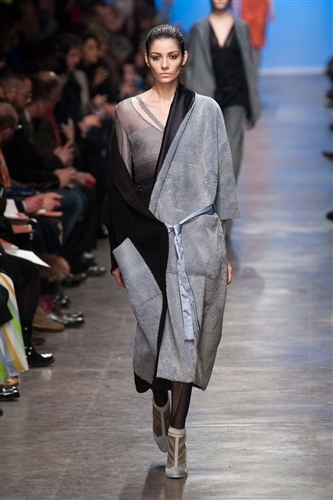 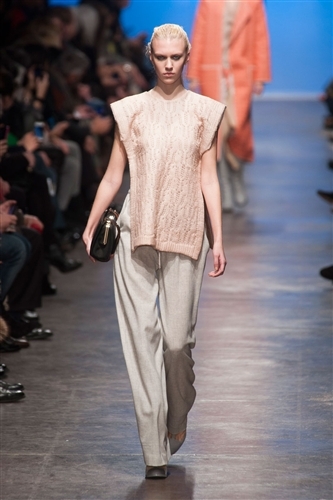 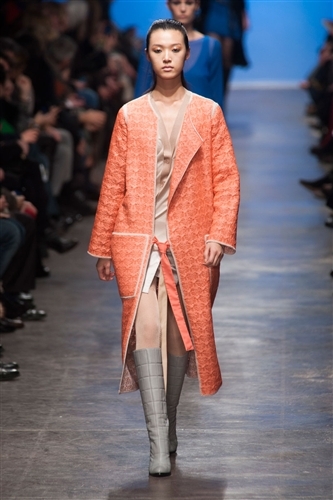 Missoni also introduced some new textiles to its repertoire and presented silks, mink and calfskin. 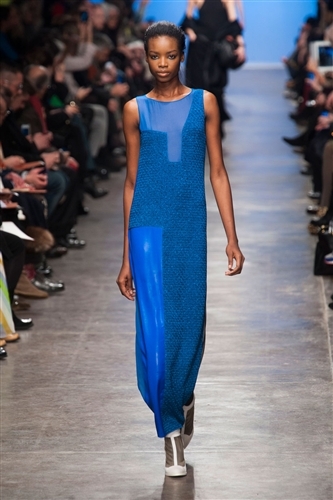 The skin was an especially stand out element of the collection, flowing down from the models in great abandon. 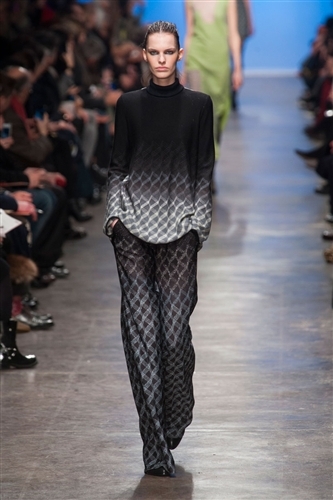 The signature zig-zag was of course not forgotten but this season it was toned down incorporated into perfectly slouchy trousers.